When you talk about losing or gaining a few kilograms, it sounds like a marathon task, in the beginning. You can either drag on, postpone it to a later date, which will only make the task worse. The first step is to make up your mind, once and for all, set yourself a target and move ahead to achieve it. Scientific dieting is not just a matter of missing out on our regular meals or nibbling down anything that looks good enough to eat, or is edible. Whether you are on a diet to lose or gain weight, make sure you have balanced nutrition, a regular meal pattern, a daily program of exercise and a safe, slow loss or gain of weight. There are certain myths about dieting which have no scientific basis. Many are too fat or too thin because of these myths, attached to dieting. Sometimes, there has been a harmful effect on the whole system of the body by keeping faith in such weight-control myths. Let’s discuss the scientific data, related to certain common myths about dieting, and separate the facts from the myths. Once these myths are explained, we will be in a better position to carry out our dieting programs successfully. This is only partly true. A person on a diet, has got a tendency to lose weight uniformly, all over the body. Spot-reducing can be achieved by doing special exercises, and concentrating on he particular area. The exercises will help to strengthen and tone up the muscles in the problem areas, and will make the person appear firmer, once the weight is lost through dieting. 2. The best way to lose excess weight is to do it as fast as possible. This method can prove hazardous to health. Most doctors recommend an ideal weight loss of one kilo, in a fortnight. But, sometimes a patient wants to lose weight quickly owing to specific circumstances. Then, he has to be kept on a crash diet, which can prove to be very dangerous to the system, unless a proper balance of nutrients are supplied to the body. The weight reduction program should be such that it provides all the nutrients, needed for the body, but is limited in calories. The diet should be within the bounds of he normal eating habits. This type of eating pattern can be continued throughout a person’s lifetime, for a continuous weight maintenance. An adequate exercise program should also be included in the reduction program. 3. After being on a diet for some time, our stomach diminishes in size. No the stomach does not shrink in such cases. Studies have shown that if a person, permanently, reduces the amount of food he eats, he will not require as much food to feel full; but he size of the stomach remains the same. In some cases, if a dieter stays away from fried foods, sweets and carbohydrates, his body becomes used to not having them. Some dieters even fall sick if they eat these rich foods, once again. 4. A chubby baby is a healthy baby. This is, absolutely, false as no medical evidence supports this myth. If one or both the parents are obese, then the child will have a tendency to become fat and overweight. In such a case, special attention should be paid to the diet and the activity pattern of the infant right from his birth. 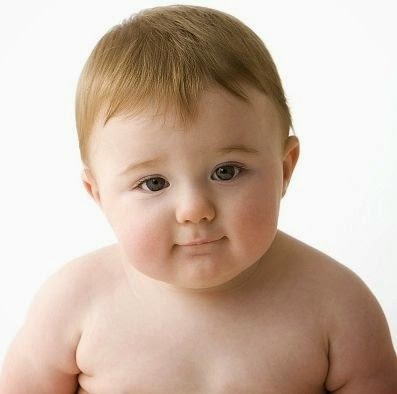 Chubby babies are cute, but not always healthy. 5. As the child becomes older and taller, he will lose his puppy fat. This is one of the old wives tale. The earlier a child becomes obese, the less likely is he to lose weight. Overfeeding of infants and children will produce adults and children who have a larger than normal number of fat storage cells. Once these cells are formed, it becomes difficult to break them. These persons tend to be overweight, throughout life. Parents of obese children should consult a physician and ask him to prescribe a proper food program for the child. A small child should never be put on a weight-control diet, without consulting a doctor. Improper nutrition will interfere with the child’s growth and development. 6. As long as an overweight person feels well, it is not essential for him to shed weight. This is not true. Actually, an excessive amount of weight is always dangerous for an otherwise healthy individual as it will affect normal body functions. An obese person may start respiratory problems, and he will find that he cannot perform exercises properly. The gall-bladder diseases area, for instance, associated with excessively fat persons. Even arthritis is aggravated by excess fat. Surgery also becomes risky for an overweight patient, while mortality rates are higher among fat people, when compared with that among people of normal weight. 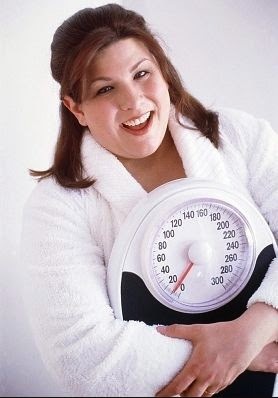 It's a myth that if an overweight person feels well, it is not essential for him / her to shed weight. 7. The less is the weight gained during pregnancy, the better it is. This is a wrong notion. Obstetricians are of the view that maternal weight gains during pregnancy area essential because of the nutritional requirements of the fetus. A woman of average BMI should gain, at least, 10-12 kilos- planned on the basis of a sound nutritional program. Read this and this for more information. 8. Thin people naturally eat less. This is not necessarily true. Many thin people are voracious eaters but the problem with them is hat their bodies utilize food less efficiently than an over-weight person, whose body stores the unused calories as fat. However, being underweight, like being overweight, depends on many factors, like the genetic, environmental, cultural and economic, and on family influences, and, of course, the amount of physical activity the person concerned undertakes. 9. It is easier to gain than to lose weight. This is false as putting on weight, for a thin person, can be as difficult as reducing it can be for a fat person. To gain a kilo a week, a thin person must consume an additional 1000 calories of food, a day. And most often a constitutionally lean person finds it difficult to consume this extra food. 10. Steam baths and massages are effective methods of weight reduction. This is only partly true. A steam bath does cause a quick loss of water through respiration, but later on, when a person drinks a certain amount of water or other liquid, the loss is replaced. No scientific evidence shows that massages are of any value in a weight-reducing program. 11. Underweight persons should stop exercising to gain weight. This notion is quite wrong. Whether a person is gaining, losing or maintaining weight, exercise should always have a place in his daily schedule. In an underweight person, the weight, gained during dieting, has to be distributed evenly all over, and this job is done through exercises. It gives added muscle to the body too. By exercising, the body will also develop a good muscle tone. 12. Mechanical vibrating devices melt away fat or break up fat deposits. This is false. No scientific evidence supports this claim and mechanical vibrating is never responsible for weight reduction. 13. Bread has more calories than toast. This is a myth as the calorie content remains the same in both the cases. 14. Butter has more calories than margarine. Actually margarine and butter have the same amount of calories. For more read this. 15. Washing rice after cooking reduces its calorie content. This is also incorrect; washing does not reduce the amount of calories to any significant degree, but certain vitamins get rinsed away during the process. 16. Vinegar has got a slimming effect. Now that we have sorted out facts from myths, those of us who want to go on a diet, either to put on, or reduce weight, should find it much easier to carry out their weight-control programs. So let's start our dieting program in a proper fashion, right now!